First cobbled together in June 2014 as a labour of love given the hours of research I poured into it, this two-part Calgary Flames A-to-Z Draft Primer was one of the most-read features to ever appear on Flames From 80 Feet. Packed with everything you wanted to know and a whole lot more about Calgary's draft history -- including some things I'm sure you'd rather forget, I think you'll find this to be a terrific resource and endless source of conversation starters and trivia. What I did last weekend was went through it from start to finish and updated it for 2015. This includes updates all the way through to bring it current as well as new topics sprinkled throughout that are relevant to this year. Now all you need to do is pick yourself up a copy of my personal favourite -- the comprehensive Future Considerations 2015 NHL Draft Guide -- and you'll be all set for the draft this weekend. By my count, the Flames have drafted 41 kids from Alberta since 1980. The most recent editions were Leduc defenceman Brandon Hickey and Calgary-born right-winger Austin Carroll, who were selected in rounds three and seven respectively in 2014. Hickey just completed an excellent freshman year at Boston University, where he was teammates with superstar prospect Jack Eichel. Carroll, an imposing 6-foot-3 and 215 pounds, is a right-winger that just finished leading Victoria in goals (38), points (77) and penalty minutes (124). The most successful Alberta pick was also one of the first selections. In 1981, Calgarian Mike Vernon was picked in the third round, 56th overall. He would go on to win a Stanley Cup with the Flames in 1989. We know how much former GM Darryl Sutter liked drafting big, strapping WHL kids. Yet, when you look back, you may be surprised to know that Jay Feaster and Al Coates both drafted a greater percentage of Alberta-born players than Sutter. It's only been a small sampling but current GM Brad Treliving tops the list with one-third of his six picks last year hailing from Alberta. Dealing goaltending prospect Jean-Sebastien Giguere, 23, to Anaheim for a second round draft pick. While Craig's final two drafts (2001, 2002) did yield four NHL regulars in Chuck Kobasew, David Moss, Eric Nystrom and Matthew Lombardi, he also whiffed on all three second round picks during those two drafts -- U.S. collegian Brian McConnell (39th in 2002), Andrei Taratukhin (41st in 2001) and stocky goaltender Andrei Medvedev (56th in 2001). There's no shortage of draft-related sections, sub-sections and tables in the 517-page Collective Bargaining Agreement between the NHL and NHLPA. What many don't realize is there are two deadlines when dealing with players drafted from the Canadian Hockey League (made up of the WHL, OHL and QMJHL). Here's what happened and why with two different situations that unfolded for the Flames on or before June 1 that just passed. Deadline No. 1 - By the next June 1 following the draft in which a CHL player is selected, the club must make a bonafide contract offer to that player in order to retain their rights for an additional year. Otherwise, he goes back into the upcoming draft. "Bonafide" means a legitimate contract that abides by minimums for salary and term for an entry-level contract as set out in the CBA. Often, especially for non-first round picks, these initial contract offers will be for near the minimum permitted and generally include no signing or performance bonuses. While it was not announced publicly, contract offers would have been made prior to June 1, 2015, to Calgary's two remaining unsigned CHL players from 2014 -- Mason McDonald and Hunter Smith. In doing so, regardless of whether they accept that initial offer or reject it (they have 30 days to decide), the Flames retain both of their rights until June 1, 2016. Deadline No. 2 - By the second June 1 following the draft in which a CHL player is selected, the club must sign that player or he goes back into the draft. In the case of Eric Roy, a 2013 fifth round pick, he was offered a contract by Calgary last June 1, which he rejected. As it turns out, the Flames chose to not make him another offer and have given up his rights, which means the Brandon defenceman is eligible to be selected by any team in the 2015 draft. McDonald and Smith, both second round picks, are highly touted and assuming they reject the initial offer from Calgary (and this may have happened already), expect both to receive another contract proposal at a later point and it will probably be a richer offer. Worth noting is it's not uncommon for a player to reject that initial offer in hopes they'll have a great junior season and elevate their stock. But as we saw with Roy, there's no guarantee another contract offer will come. We've been hearing it all season. The 2015 NHL Draft is one of the deepest drafts in a long time. Given the generational talents at the top in Connor McDavid and Jack Eichel, you can see why experts are suggesting that and with six picks in the first three rounds, the Flames are certainly hoping that will turn out to be the case. Over the last 25 years, the draft class considered by most to be the best of the bunch was 2003. Held in Nashville, Marc-Andre Fleury went first that draft followed by Eric Staal. Although in Calgary, three names that hit close to home after this year's playoffs are Ryan Getzlaf (19th), Ryan Kesler (23rd) and Corey Perry (28th). The success rate in the first round that year was phenomenal with 27 of 30 players playing at least 240 NHL games. That was the year the Flames drafted Dion Phaneuf with pick No. 9. There were a bunch of gems that year in the second round also -- Loui Eriksson (33rd), Patrice Bergeron (45th), Matt Carle (47th), Shea Weber (49th), Corey Crawford (52nd) and David Backes (62nd). We'll have to wait several years to find out for sure but should the 2015 draft come close in terms of the talent produced, that could end up being very good news for the Flames. A popular question these days is what calibre of player can the Flames expect to get at No. 15. Well, would you be content with an Erik Karlsson? To get a sense of what you can get with 15th pick these days, I looked back over the last 15 years of NHL drafts. While Karlsson, already with one Norris Trophy on his resume and a finalist again this year, is the headliner, some other pretty good players have been plucked at No. 15 over the last seven years. This comes after a long stretch in which it looked like that pick might be cursed. From a bust perspective, what one might conclude is simply avoid selecting a Russian or a goaltender and as long as you're not the Islanders or the Oilers, you should make out just fine. It should also be noted that Flames great Al MacInnis was also a 15th pick, way back in 1981. Three of the four would be instrumental in the Flames winning their only Stanley Cup in 1989. Roberts and Suter were key parts of the team. Hull was traded to St. Louis in March 1988 and while that deal (Hull and Steve Bozek for Rob Ramage and Rick Wamsley) will always be criticized considering the hall-of-fame career Hull ended up having, Ramage and Wamsley would be integral pieces of that 1989 team. For the speedy Ranheim, he spent most of 1988-89 in the minors with his first full year coming the following season. For good measure, Fletcher also selected 26-year-old Jiri Hrdina in the 8th round of 1984, one of four established Czechs taken that year by the Flames GM, who hoped they would either one day defect or eventually be released to play in North America. Sure enough, Hrdina did come over to the NHL and his parts of four seasons with Calgary included the Stanley Cup year. As mentioned above, 2013 fifth round pick Eric Roy goes back into the 2015 draft as he is no longer Calgary property after going unsigned. It is the second year in a row the Flames have chosen this path with a player out of junior. In a 30-team league, you may be wondering why Calgary's picks are 15th, 45th then 76th. Why not 75th? That's because the Chicago Blackhawks receive an extra draft pick this year in the second round as compensation for not being able to sign Johnny Gaudreau's old Boston College right winger Kevin Hayes. After finishing his four years of school, Hayes chose to become a free agent last August 15, ultimately signing with the New York Rangers. Note that the only scenario in which a team is compensated for not signing a draft pick is if that player was a first round pick. Also, that comes with the caveat that the club must make a bonafide contract offer to the player. If the player rejects it and chooses not to sign, the team is compensated at the subsequent draft with a pick of the same numerical value but in the second round. Thus, the Blackhawks get an extra second round pick (24th pick in that round) because Hayes (24th pick in round one in 2010) chose not to sign with the Blackhawks despite being offered a contract. Inserting that pick extends the second round to 31 picks and that bumps Calgary's third round pick down by one spot. The other relevancy of this topic to the Flames is in regards to maligned 2012 first round pick Mark Jankowski, who will embark this fall on his fourth and final year at Providence College. If next summer the Flames offer a contract to Jankowski and he was to reject it, Calgary would receive the 21st pick of the second round in 2016 as compensation. However, worth reiterating for all the Jankowski critics, you can't just take the compensation and run. The player has to have first been offered that bonafide contract. Unfortunately for Flames fans and for the organization, there are several years to choose from when debating what was Calgary's single worst draft year. However, if you remove subjectivity and simply go by fewest NHL games amassed by each draft class, the worst year was 2006 under Darryl Sutter. Armed with eight picks that year -- although as became the norm under Sutter, no second rounder, goaltender Leland Irving (26th overall), was the lone player to make it to the NHL and he amassed just 13 games in five years with the organization. Consider that Sam Bennett has already played 12 NHL games, one less than that entire 2006 draft class. He's already been mentioned once and here's his name again. Why Jankowski's name comes up again is he's the most recent example of a player drafted by the Flames after trading down in the first round. By that, I mean the Flames held a higher pick but chose to drop down to a lower pick via a trade in which they picked up an additional asset. The potential silver lining with Jankowski is that is how Calgary got the 42nd overall pick that they used to draft rugged defenceman Patrick Sieloff. On the flip side, the last time the Flames traded up in the first round of the draft was way back in 1990. Although, given how that one turned out, you can understand why the team has been gun shy to try that maneuver again. That year, Calgary GM Cliff Fletcher swung a deal with New Jersey to move from 20th to 11th. They did so in order to draft goaltender Trevor Kidd. The cruel irony is that at No. 20, the Devils also opted for a goalie, settling for Martin Brodeur. At least the second round pick Calgary flipped to New Jersey in order to move up, never amounted to anything. But that's the only positive thing to say about that deal, which was clearly won by New Jersey GM Lou Lamoriello. As we look ahead to the 2015 draft and with the extra picks in rounds two and three that GM Brad Treliving has amassed and could be used as leverage, might this be a year Calgary moves up from 15th to maybe 11th or 12th if they have designs on a certain player that has fallen? Maybe, and with Brodeur retired now, perhaps the skeletons in this closet can finally be put to rest also. The salt in the wound for Flames fans is Calgary actually expended two picks on goalies that year, also taking and missing on Hungarian Levente Szuper, drafted in round 4, 116th overall. In the 35 years in Calgary, the Flames have drafted and developed only three goaltenders into a full-time role on the team although it's not from a lack of trying. They've drafted 27 goalies during that span. The most recent so-called success was Curtis McElhinney and at that, he was the understudy to Miikka Kiprusoff for just one full season. The Flames expect to finally add a fourth name to this list this year in 2009 sixth rounder Joni Ortio, who is on a one-way contract for 2015-16 and is also waiver-eligible, which should result in him spending the full season in the NHL unless his performance falls apart. Right behind Ortio and destined to play in the AHL this season after leaving school and turning pro in April is 2012 third rounder Jon Gillies. While the future appears bright for both, only time will ultimately tell. With the Flames using a second round pick last year to select Mason McDonald -- the first goalie selected in 2014, it would not surprise me if Calgary passes on choosing a goalie at this draft unless in the late rounds, there's someone still available they just can't pass up on. This upcoming season, Sam Bennett cannot be sent to the AHL. He either has to stay in the NHL or be returned to Kingston in the OHL. Now from what we saw last year, it's obviously a foregone conclusion that he will be staying in Calgary but nonetheless it's worth reviewing the AHL eligibility rules as it applies to a few other Flames prospects. If a player does not turn 20 by December 31, he is not eligible to play in the American Hockey League that season. This rule, which NHL teams and their prospects would probably both like to see done away with, is part of a NHL-CHL transfer agreement that is intended to protect the player, but more than anything, benefits his junior team, which often can end up with a player that is ready to play at a higher level (i.e. AHL), but is not yet ready to play at the highest level (i.e. NHL). What will be interesting to watch from a Bennett perspective is the two players chosen ahead of him at No. 2 and No. 3 -- Sam Reinhart and Leon Draisaitl -- are both eligible to play in the AHL so that is an additional option the Sabres and Oilers have this year. Just once since 1991 when the NHL expanded to 22 teams have the Flames enjoyed the luxury of having six picks in the top 83 as they have in this year's NHL Draft. For 2015, Calgary is currently slotted to select 15th, 45th, 52nd, 53rd, 76th and 83rd. That previous instance was 1997 when they had six picks in the top 70 -- yet missed on all of them. While 2006 was the Flames worst draft in terms of net NHL games played, 1997 was Calgary's all-time worst draft class given how high they were drafting that June, which eerily consisted of the same breakdown as this year -- three second round picks and two third round picks to complement their first round pick. Perhaps it's no coincidence that Tod Button joined the Flames organization as a scout later that summer, after that dreadful 1997 draft. In a 27-year stretch of first round futility at the NHL draft, 16 of the Flames 25 first round picks from 1985 to 2011 ended up playing less than 80 games with Calgary. Eleven including 2005 first rounder Matt Pelech (five NHL games in four seasons with the Flames) played less than 20 or didn't make it at all. The misery began with D Chris Biotti, selected 17th overall in 1985, and the latest to not pan out -- at least in Calgary, was LW Sven Baertschi, selected 13th overall in 2011. Baertschi was peddled to the Vancouver Canucks at the trade deadline last year. That is a brutal ratio and if you're looking for the single biggest reason why after winning the Stanley Cup in 1989, Calgary only made it past the first round once in 25 years, it's their repeated failings in this area. Depending on your age, some of these names are more folklore than guys you have recurring nightmares about but here is the awful 16 -- listed in chronological order: Biotti, George Pelawa (died in a car accident three months after being drafted), Bryan Deasley, Jason Muzzatti, Niklas Sundblad, Jesper Mattsson, Chris Dingman (eventually scratched out 385 NHL games but only 72 came with Calgary), Daniel Tkaczuk, Rico Fata (finished with 230 NHL games but only 27 with Calgary), Brent Krahn, Kris Chucko, Pelech, Leland Irving, Greg Nemisz, Tim Erixon and Baertschi. After a lengthy hiatus, the Flames are once again tapping into Quebec on draft day having selected a junior player out of la belle province in each of the last three drafts. When Calgary drafted defenceman Ryan Culkin in the 5th round in 2012, it was the Flames first foray into the QMJHL for a player selection since 2006. The Flames went right back there in 2013 selecting Emile Poirier 22nd overall and once again looked to Quebec early in last year's draft grabbing Mason McDonald in round two, 34th overall. While there are no certainties with any of them yet, all three are progressing nicely too. Poirier - Had 19 goals and 42 points in 55 games with Adirondack in his first pro season. He also got into six NHL games. Culkin - Had a good year going with the baby Flames before he suffered a season-ending wrist injury in February. He was often deployed on the top pairing and seems to have moved himself into the next-in-line spot behind Tyler Wotherspoon. McDonald - Last year posted the second-best save percentage in the QMJHL at .906, second only to overager Marvin Cupper (.912), who is two years older. Other than Poirier, the only two Flames-drafted QMJHL grads to play in Calgary in the last 10 years were defenceman Adam Pardy and forward Steve Begin in his brief comeback tour in 2012-13. Calgary has only had one top-five draft pick since the Flames moved to Calgary in 1980. The New York Rangers are the only other team has had that few over those 35 years. Interestingly, like the Flames, that one Rangers top-five pick was also fourth overall. It came in the 1999 draft and there was a Calgary connection to their selection, which came right after Canucks GM Brian Burke stepped to the podium to announce Daniel and then Henrik Sedin as picks No. 2 and No. 3. 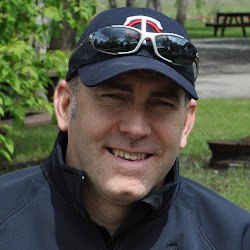 Next, New York GM Neil Smith chose Pavel Brendl of the Calgary Hitmen. That mistake would be the low-light of Smith's last draft as he would be replaced by Glen Sather the following spring. After an alluring WHL career with the Hitmen in which Brendl amassed an eye-popping 172 goals in 176 games, he scored only 11 goals in 78 NHL games split between Philadelphia, Carolina and Phoenix. Brendl is still playing professional hockey today although it looks more like he's on an extended European vacation. Since leaving North America, Brendl has played in Sweden, Russia, Finland, Czech Republic, Switzerland, Germany and last year he played in Slovakia. In this instance, 'S' could also stand for sad. When you trade away draft picks, you do so not knowing what those picks might turn into. One of the most notable and more recent regrets for the Flames was giving up their second round pick in 2011, 43rd overall. That pick eventually ended up in the hands of the Chicago Blackhawks, who used it to select left-winger Brandon Saad, who at age 22, has rapidly developed into one of the league's young stars. What's worse, Calgary gave up that second round pick (along with Wayne Primeau) in order to get defenceman Anton Stralman (and Colin Stuart and a seventh round pick) from Toronto in July 2009. As the story goes, Stralman attended training camp with the Flames, played in a few preseason games but when Calgary opted to go with Staffan Kronwall as blue-line depth instead, Stralman was flipped to Columbus for a third round pick. The rest is history with Stralman also having turned into a very fine NHLer. As for that 2010 third round pick Calgary ended up with in exchange for the Saad pick, Sutter used it to select Max Reinhart, who's coming off a subpar year offensively last year in the AHL and could be nearing the end of his time in the Flames organization. It's been seven years since the Flames last traded a roster player on draft day (or the day before) to pick up another pick in that same draft. The last time it happened was 2008 when Calgary dealt away Alex Tanguay to pick up a first round pick. It was that same busy day that the Flames had traded its own first round pick to LA to acquire Mike Cammalleri. June 22, 2007 – Flames traded Andrei Zyuzin along with minor leaguer Steve Marr to Chicago in exchange for Adrian Aucoin and a 7th round pick. June 7, 1982** - Flames traded Willi Plett and a 4th round pick to Minnesota in exchange for a 2nd round pick, plus Steve Christoff and Bill Nyrop. Here’s a mind-numbing stat for you. In the last 25 years of drafting, so going back to 1990, the Flames have gotten all of 35 goals from home-grown second round draft picks. That's 35 goals in a quarter-century. Wow, just wow. There are a couple contributors to this awful stat with the biggest being how under-appreciated and undervalued second round picks were by Flames management for a very long time. During a seven-year span from 2004 to 2010 -- all of those years coming with Sutter at the GM helm -- Calgary stepped up to the podium just once to make a second round selection and that was Mitch Wahl in 2008, who was last spotted in the ECHL. Leading up 2004, the quality of the second round selections they did make left much to be desired -- Tim Ramholt (2003), Brian McConnell (2002), Andrei Taratukin and Andrei Medvedev (2001). Historically, Russian picks have not worked well. In addition to the two flops in 2001 noted above, other second round misses included Dmitry Kokorev (1997), Pavel Smirnov (1995) and Dmitri Ryabkin (1994). Altogether, that's five Russians in round two and not one NHL game between them. Another reason why second round picks are important is it provides a team with a second chance should you blow your first round pick. Without such a ‘Plan B’ available to potentially salvage those years when the Flames squandered their first round picks -- 2004 (Kris Chucko), 2005 (Matt Pelech), 2006 (Leland Irving) and 2009 (Tim Erixon), the result was some very lean times on the prospect side, which hurt the organization for many years. For proof of the value of second round picks, you need only look at Chicago's roster, where a quarter of the Blackhawks line-up and some instrumental pieces were second round picks – Corey Crawford, Duncan Keith, Brandon Saad, Antoine Vermette and Bryan Bickell. This all makes for interesting history and a curious subplot considering Calgary has three second round picks this year. In the role of European Pro Scout, former New York Islander left-winger David Volek is one of several scouts employed by the Flames. The group is generally a mixture of former NHL players, former junior players/coaches and sons/siblings of NHL players/executives. Calgary divides its scouting into two areas. Amateur scouting is headed up by Tod Button, Director of Amateur Scouting. The pro scouts report to assistant general manager Craig Conroy. Talk about a Western bias. The Flames have drafted 21 players from the Canadian Hockey League over the past six years and 15 of them have come from the WHL. Sean Monahan, Sam Bennett and Hunter Smith are the only players Calgary has drafted from the OHL since 2009, despite the fact that pretty much every year, the OHL is the league from which the most players are drafted. The one thing we've learned is that while some teams are much better at it than others, the NHL Draft is hardly an exact science and is very much a crapshoot. You can review all the scouting information and statistical analysis you want but you never know for sure who is going to make it. Mark Giordano is one of the best examples of that. As pointed out repeatedly over the last couple months, diminutive Tampa Bay star Tyler Johnson is another. Then there are those two-sport athletes you draft such as 1986 fourth round pick Tom Quinlan. The right-winger, who was a star in high school, would go on to make it to the big leagues alright, only on a ball diamond instead. Quinlan played four seasons in the Major Leagues as a third baseman, including a stint for the Toronto Blue Jays. Also not to be dismissed and another x-factor is the element of luck or bad luck as has been the case a couple of times for the Flames. George Pelawa - Drafted in the first round, 16th overall, in 1986. The big 6-foot-3 right winger, a three-sport star in high school in Minnesota -- who had also been scouted by the Minnesota Twins, died in an auto accident less than three months after being drafted. Mickey Renaud - The Flames fifth round pick in 2007 was the captain of the OHL's Windsor Spitfires. Tragically, the 6-foot-2 centre died suddenly on Feb. 18, 2008, the result of a rare heart condition. 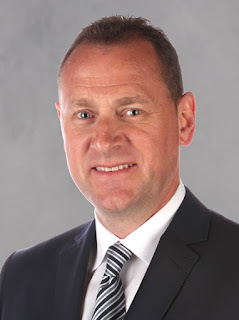 In Craig Button’s final two years in the GM chair for the Flames, these two forwards were two of six Russian players he selected in the draft, which included expending a pair of second round picks in 2002 on centre Andrei Taratukhin and goaltender Andrei Medvedev. As it turns out, the whole lot of them played a combined zero NHL games with Taratukin the only one that even made it to North America leaving Yaroslavl to play a single season in the AHL in Omaha, Nebraska. That 2006-07 season saw him play alongside future NHLers Brandon Prust and David Moss. If playing ice hockey in Nebraska isn't an odd enough scenario in itself, how about doing so after spending your whole life in Russia. That had to be quite the culture shock. Given how badly the Russian strategy backfired, we should not be surprised that the Flames would not draft a Russian player again for the next 10 years. They finally dipped their toe back in the East Siberian Sea two years ago when Calgary used a seventh round pick on Russian defenceman Rushan Rafikov. But if you listen to Treliving lament the issues they're having getting Rafikov to North America -- he's yet to make it to a development camp despite their attempts to bring him over, you have to wonder when Calgary will again throw caution into the wind and call the name of a Russian player. While Sam Bennett is Calgary's only top-five draft pick, a bunch of top-five draft picks have played for the Flames during their career. One of them, although you have to go back to the 1986 NHL Draft to find him, was Zarley Zalapski. Originally a Penguins selection, Zalapski was the last fourth overall pick to play for Calgary before Bennett. After spending time with the Penguins and Hartford, Zalapski played parts of five seasons with Calgary in the mid-90's. In total, 16 top-five picks have played for the Flames including four first overall selections. The only second overall pick to do so is another 'Z' in Andrei Zyuzin.